I have been blogging about learning resources for a while and one of the best ways to learn from the experts is to attend in person conferences! Since Valo Intranet is sponsoring , we have a few passes to give away! There are two contests going on, the first one is to simply retweet this tweet by Valo Intranet! The Second one is trough this blog post and gives you the chance to win three Full Access Conference Passes to SPTechCon Boston 2018! 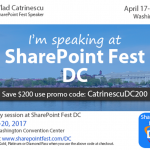 To enter you simply have to put your name and email (They will not be shared with any 3rd parties unless you’re the winner of the pass), and you can get bonus entries if you follow @vladcatrinescu on Twitter and like the Absolute SharePoint page on Facebook! Furthermore you can tweet about the giveaway every day and get 9 bonus entries for every time you tweet! SPTechCon: The SharePoint & Office 365 Conference is returning to Boston, MA, August 26 – 29, 2018! 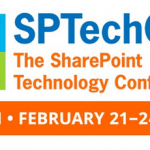 SPTechCon is a training, problem solving, and networking event for those who are working with SharePoint, OneDrive, and Office 365. This includes the varied uses and approaches to managing SharePoint; On-Premises (2013 thru 2019), Hybrid Variations, and SharePoint Online. Sessions at SPTechCon are presented by today’s most approachable and knowledgeable instructors. Find solutions to your current environment and seek ways to continue to Work Smarter, Collaborate, and Increase Productivity! Good Luck, and if you are at SPTechCon, make sure to visit me at the Valo Booth to say hello :)!